For over half a century, Electro Chemical has specialized in providing field services for all types of tanks, process piping and secondary containment systems around the world. In addition to process piping, Electro Chemical is a Pennsylvania Certified Above Ground Storage Tank (IAM) Inspector. Our experienced field construction crews can provide turnkey services to include installation and removal of above ground storage tanks in conjunction with the process piping work. 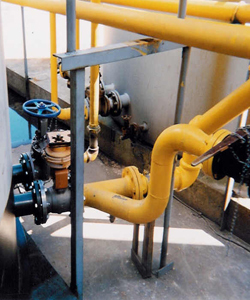 Please contact us for any of your process piping or secondary containment needs.